ViSP allows simultaneously the tracking of a markerless object using the knowledge of its CAD model while providing its 3D localization (i.e., the object pose expressed in the camera frame) when a calibrated camera is used , . 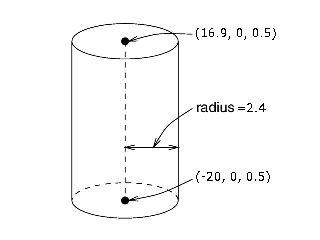 Considered objects should be modeled by lines, circles or cylinders. The CAD model of the object could be defined in vrml format (except for circles), or in cao format (a home-made format). This tutorial focuses on vpMbGenericTracker class that was introduced in ViSP 3.1.0. This class brings a generic way to consider different kind of visual features used as measures by the model-based tracker and allows also to consider either a single camera or multiple cameras observing the object to track. 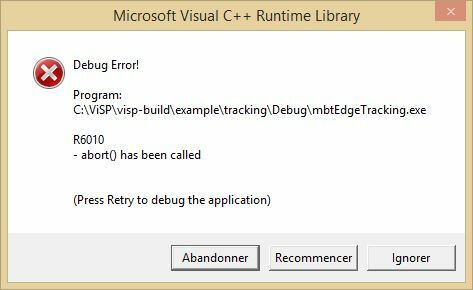 This class replaces advantageously the usage of the following classes vpMbEdgeTracker, vpMbKltTracker or the one mixing edges and keypoints vpMbEdgeKltTracker that will continue to exist in ViSP but that we don't recommend to use, since switching from one class to an other may be laborious. If for one reason or another you still want to use these classes, we invite you to follow Tutorial: Markerless model-based tracking (deprecated). In this tutorial, we will show how to use vpMbGenericTracker class in order to track an object from images acquires by a monocular color camera using either moving edges, either keypoints, or either a combination of them using an hybrid scheme. To illustrate this tutorial we will consider that the object to track is a tea box. The moving-edges and KLT features require a RGB camera but note that these features operate on grayscale image. Note also that combining the visual features (moving edges + keypoints) can be a good way to improve the tracking robustness. If you consider color images as intput, the time requested by the tracker to process one image will increase since there is a conversion from the color to a gray level image used in the tracker low level layers. To start with the generic markerless model-based tracker we recommend to understand the tutorial-mb-generic-tracker.cpp source code that is given and explained below. a video file; teabox.mpg is the default video. a cad model that describes the object to track. In our case the file teabox.cao is the default one. See Teabox CAD model section to learn how the teabox is modeled and section CAD model in cao format to learn how to model an other object. a file with extension *.init that contains the 3D coordinates of some points used to compute an initial pose which serves to initialize the tracker. The user has than to click in the image on the corresponding 2D points. The default file is named teabox.init. The content of this file is detailed in Source code explained section. 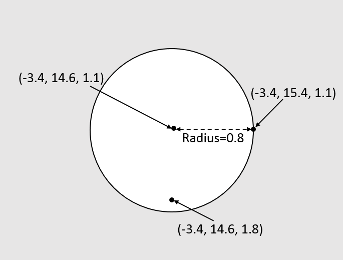 an optional image with extension *.ppm that may help the user to remember the location of the corresponding 3D points specified in *.init file. 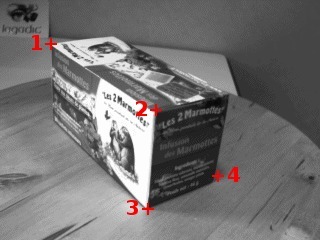 As an output the tracker provides the pose corresponding to a 4 by 4 matrix that corresponds to the geometric transformation between the frame attached to the object (in our case the tea box) and the frame attached to the camera. The pose is return as a vpHomogeneousMatrix container. The following example that comes from tutorial-mb-generic-tracker.cpp allows to track a tea box modeled in cao format using either moving edges of keypoints as visual features. An extension of the previous getting started example is proposed in tutorial-mb-generic-tracker-full.cpp where advanced functionality such as reading tracker settings from an XML file or visibility computation are implemented. $ ./tutorial-mb-generic-tracker --video <path1>/myvideo%04.png --model <path2>/myobject.cao. myobject.ppm: An optional image that shows where the user has to click the points defined in myobject.init. 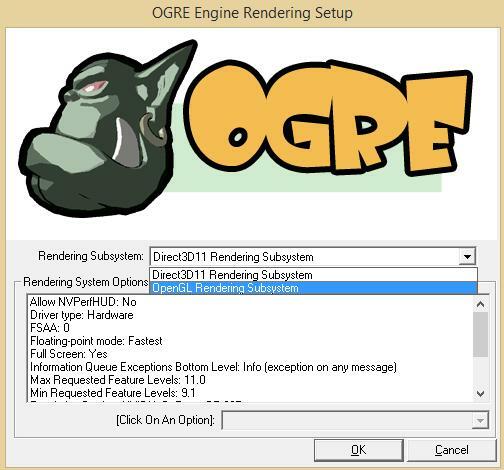 Supported image format are png, ppm, png, jpeg. and build again before using "--model ..." command line option. First we include the header of the generic tracker. Matched 2D and 3D coordinates are then used to compute an initial pose used to initialize the tracker. Note also that the third optional argument "true" is used here to enable the display of an image that may help the user for the initialization. The name of this image is the same as the "*.init" file except the extension that should be ".ppm". In our case it will be "teabox.ppm". The content of teabox.init file that defines 3D coordinates of some points of the model used during user initialization is provided hereafter. Note that all the characters after character '#' are considered as comments. The content of the teabox.wrl file used in tutorial-mb-generic-tracker-full.cpp and tutorial-mb-edge-tracker.cpp when teabox.cao is missing is given hereafter. This content is to make into relation with teabox.cao described in teabox.cao example. 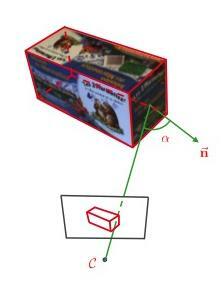 As for the cao format, teabox.wrl describes first the vertices of the box, then the edges that corresponds to the faces. <ecm> tag corresponds to the moving-edges settings. <klt> tag corresponds to the keypoint visual features and especially the KLT tracker settings used to detect and track the keypoints. <face> tag is used by the visibility algorithm used to determine if a face of the object is visible or not. Camera settings correspond to the intrinsic camera parameters without distortion. If images are acquired by a camera that has a large field of view that introduce distortion, images need to be undistorded before processed by the tracker. The camera parameters are then the one obtained on undistorded images. Additionally, it is also possible to use a statistical approach during the ray tracing phase in order to improve the visibility results. Additionally to the visibility test described above, it is also possible to use clipping. Firstly, the algorithm removes the faces that are not visible, according to the visibility test used, then it will also remove the faces or parts of the faces that are out of the clipping planes. 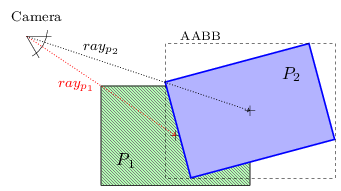 As illustrated in the following figure, different clipping planes can be enabled. When clipping parameters are not set in the XML file, nor in the code, clipping is not used. Usually clipping is not helpful when the object to track is simple. If you are using edges as features, you can exploit the internal tracker state using vpMbTracker::getProjectionError() to get a scalar criteria between 0 and 90 degrees corresponding to the cad model projection error. 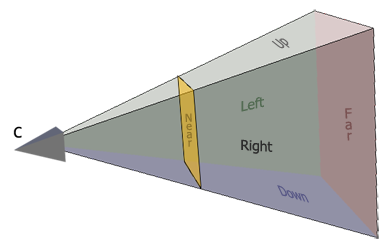 This criteria corresponds to the mean angle between the gradient direction of the moving-edges features that are tracked and the normal of the projected cad model. Thresholding this scalar allows to detect a tracking failure. Usually we consider that a projection angle higher to 25 degrees corresponds to a tracking failure. This threshold needs to be adapted to your setup and illumination conditions. When edges are not tracked, meaning that your tracker uses rather klt keypoints or depth features, there is vpMbGenericTracker::computeCurrentProjectionError() function that may be useful. Tracking failure detection is used in tutorial-mb-generic-tracker-live.cpp and tutorial-mb-generic-tracker-rgbd-realsense.cpp examples. By default, the cMo pose estimated by the tracker corresponds to the homogeneous transformation between the camera frame and the CAD model object frame. The tracker can consider an optional transformation matrix (currently only for .cao) to transform 3D points of the CAD model expressed in the original object frame to a desired object frame. Let us call this matrix oMod. 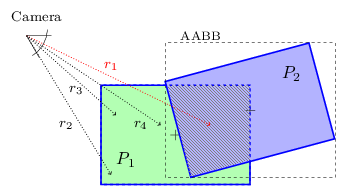 When this matrix is introduced, the tracker estimates the homogeneous transformation between the camera and the modified CAD model object frame. 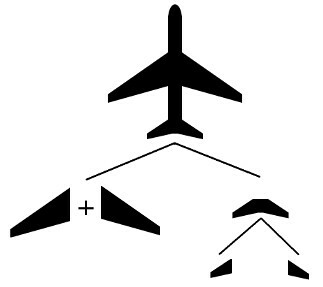 Example of a possible hierarchical modeling of a plane. In ViSP 3.2.1 we introduce the capability to load a .cao model with 3D translation and rotation. For the translation, values are expressed in meters. 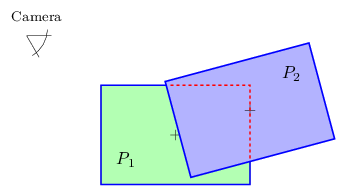 For the rotation, the representation is the axis-angle implemented in vpThetaUVector class. Values can be expressed in degrees or radians. 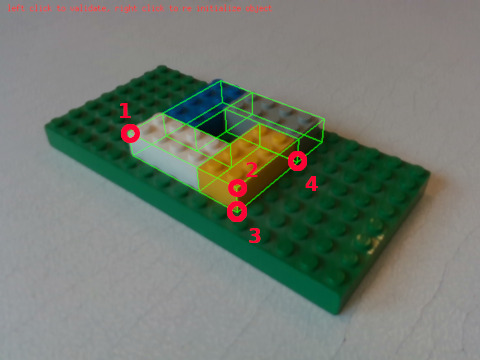 Let us model a square made with 4 lego 2x4 bricks as shown in the next immage. 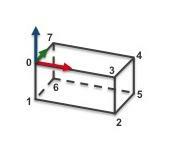 Instead of modeling all the 4 brick, we can just model one brick and use translation and rotation to model the others. Now to see how to track this object you can jump to Test tracker on lego model with a live camera section. When using model-based trackers, it is possible to not consider edge, keypoint or depth features tracking for specific faces. To do so, the faces you want to consider must have a name following How to set a name to a face. Hereafter we provide the information to test the tracker with different objects. There is tutorial-mb-generic-tracker-full binary that corresponds to the build of tutorial-mb-generic-tracker-full.cpp example. This example is an extension of tutorial-mb-generic-tracker.cpp that was explained in Getting started section. All the previous examples (teabox, CubeSAT, mmicro) were working with videos. We provide tutorial-mb-generic-tracker-live.cpp that allows to use a camera in order to test the tracker live. By default, if you are on an Ubuntu like system that has libv4l-dev package installed, you should be able to grab images from a webcam without modifying the code. Let us now consider the object made with 4 lego 2x4 bricks described in How to load cao model with transformation. If you have a webcam, you are now ready to experiment the generic model-based tracker on a cube that has an AprilTag on one face following Tutorial: Markerless generic model-based tracking using AprilTag for initialization (use case). There is also Tutorial: Object detection and localization to learn how to initialize the tracker without user click, by learning the object to track using keypoints when the object is textured. There is also Tutorial: Markerless generic model-based tracking using a stereo camera if you want to know how to extend the tracker to use a stereo camera or Tutorial: Markerless generic model-based tracking using a RGB-D camera if you want to extend the tracking by using depth as visual features. There is also this other Tutorial: Template tracking.